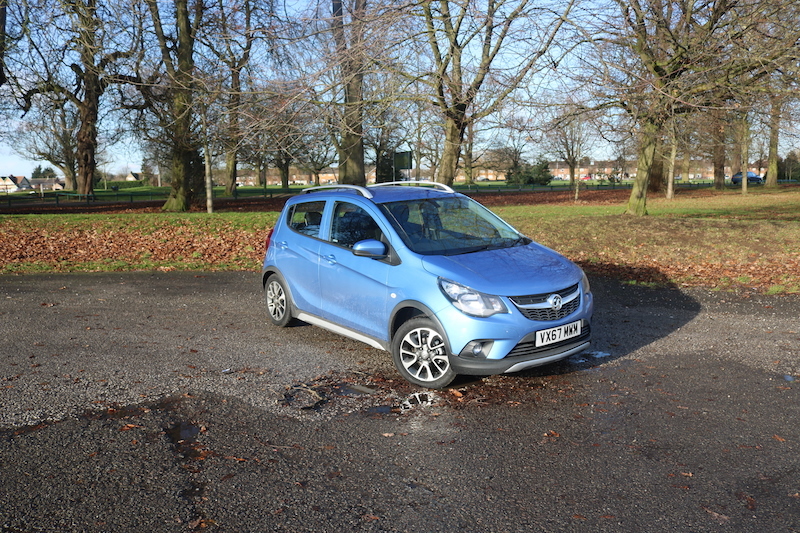 Have you ever fancied a Vauxhall Viva, but wished it was a bit taller and looked like an SUV? The chances are you haven’t but if you have, then Vauxhall has answered your prays with the new Vauxhall Viva Rocks. What we have here essentially, is a standard Viva that has a raised ride height of 18mm and SUV styled cladding to the exterior. So it’s an off-roader then? Erm, no. It may look like a rugged SUV, but the fact of the matter is that this is still a car for driving to shops rather than fording every river and climbing every mountain. It shares the same architecture as the standard city car, meaning there’s just a choice of a naturally aspirated 1.0 litre engine that offers 74bhp with 95Nm of torque, which is fed to the front wheels. So if you’re looking for a small car that does have some off-road credentials, check out the Suzuki Ignis. Baby got clad: The Viva Rocks has SUV styled cladding to make it look rugged. What kit does it offer? The Viva Rocks is based on the standard car’s SE spec, which is the base model. 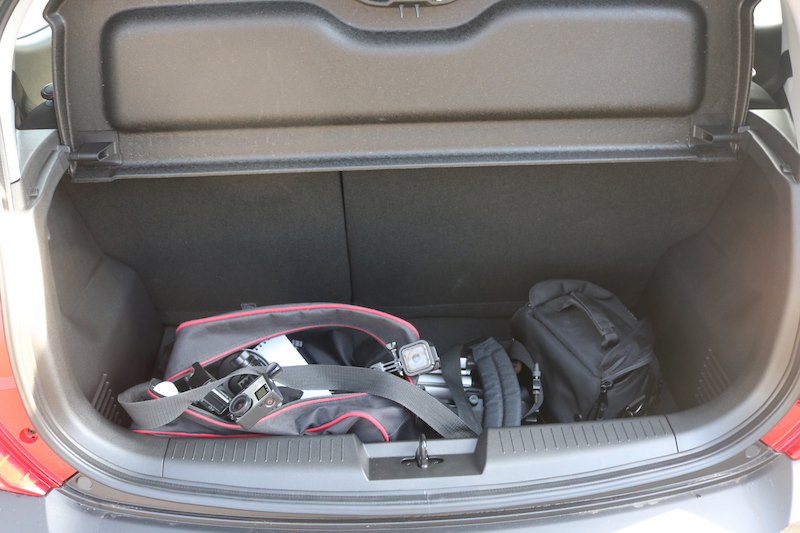 This means that level of kit is far from exhaustive, with standard features including cruise control, Bluetooth, six airbags, air conditioning, and that’s about it. The Rocks does of course offer the SUV styling, plus it offers unique 15″ alloys wheels and unique ‘Favo’ fabric interior. This model had a fair few options, so it was over £14,000. 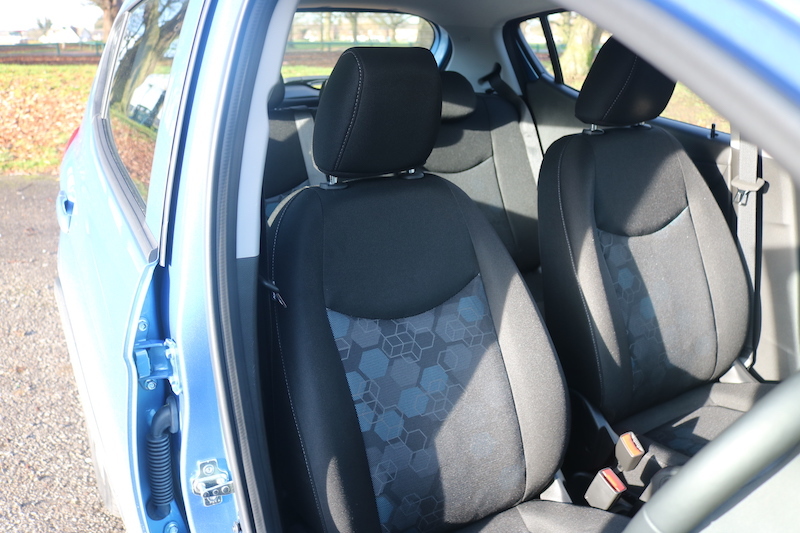 The standard price for the Viva Rocks is £11,815, but if you want goodies such as rear parking sensors, navigation, 7″ touchscreen, the winter pack (heated front seats and steering wheel), Vauxhall OnStar and lane departure warning, you’ll be looking at a price over £14,000. That puts it in the same price bracket as the Ignis, which offers more kit as standard. It also offers more safety features too, if that is something that is a priority to you. 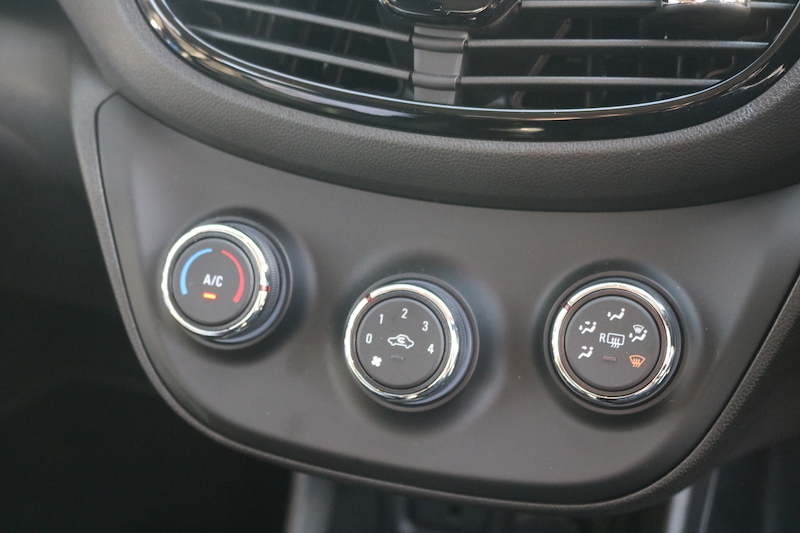 Air conditioning comes as standard but there is no option to add climate control. 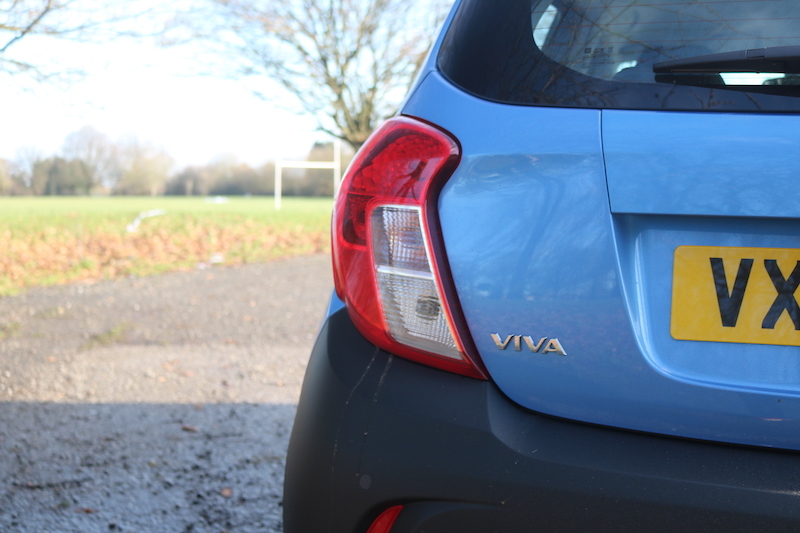 Let’s make no bones about it, the Viva Rocks is a car designed to be cheap and cheerful, so don’t expect anything revolutionary here. The 1.0 litre engine doesn’t offer a lot of guts, nor should it, with such a modest power output. I imagine most buyers, won’t be concerned about how fast it gets to 62 as it’s more likely to spend its life at 30 or 40. However, in case you are interested in such matters, the Viva Rocks will eventually hit 62mph in 13.1 seconds and the top speed is 106mph. The advantage of a piddly engine is that it should be a frugal and it’s able to offer an impressive 60.1mpg on a combined run. Plus, because there is no turbo, it’s more likely to hit those figures too, which is great news for you wallet. It’s pretty kind to the environment too, with CO2 emissions coming in at 106g/km. 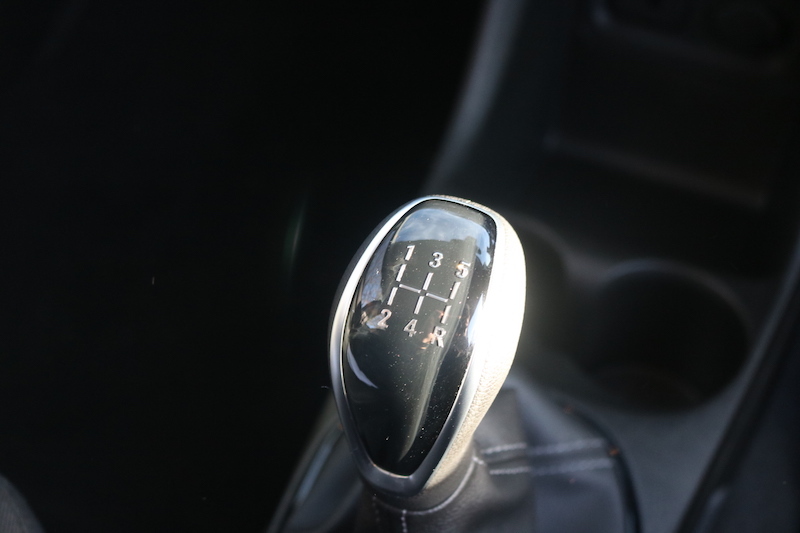 The engine is mated to a 5-speed manual gearbox which is precise enough and offers a light change without feeling too cheap or loose. As you can expect, the car doesn’t feel at all fast, but once you’ve wound the engine up like a toy car, it makes OK progress. The ride does feel a bit on the firm side, but I still found it was able to soak up bumps well, but my passenger complained about the seat comfort and I wasn’t bowled over by my seat either. Getting a good driving position could be difficult for some as the steering wheel adjusts only for rake and the seat hasn’t got loads of adjustment either. However, I was still able to get a driving position that was suitable enough for me. Visibility out the car is absolutely fine, and because of the car’s small size, it should be a doddle to park. 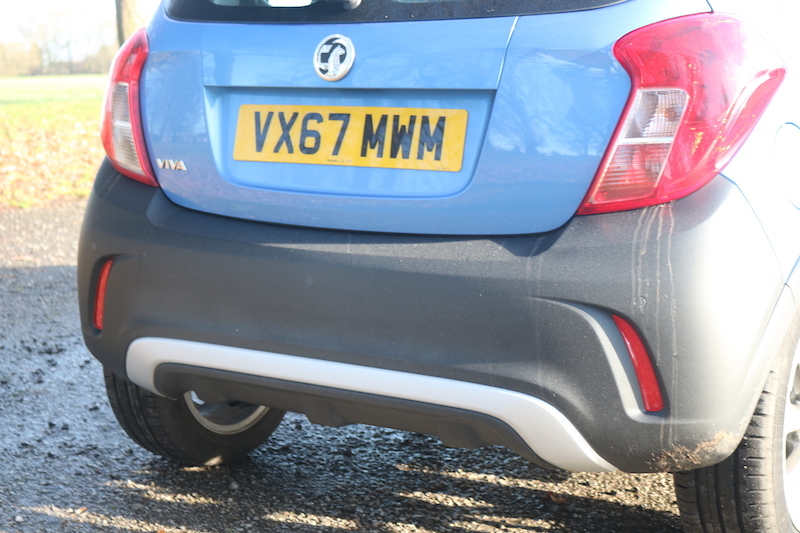 If you are a bit of a clumsy parker though, then you can select the optional rear parking sensors as a back up. Just because this car is cheap doesn’t mean it has to offer a drab driving experience, so is it fun to drive? Well it’s not bad, but those looking for something a bit more bubbly should have a look at the Suzuki Ignis. 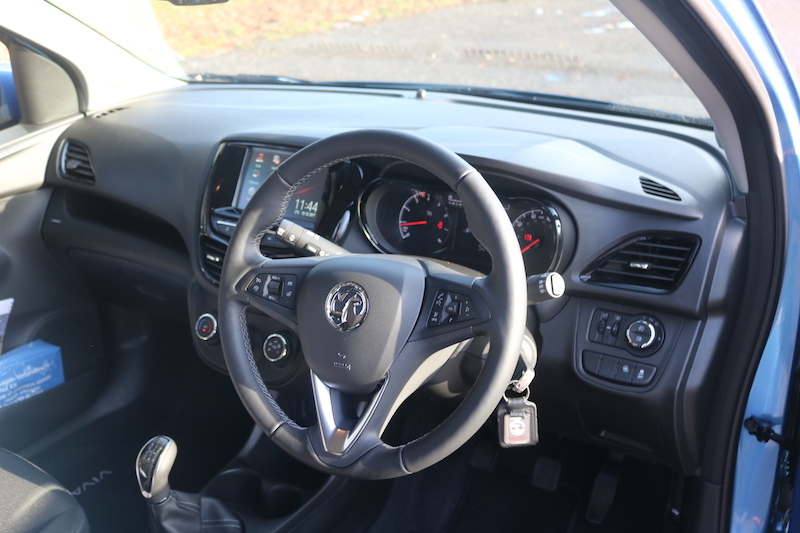 The steering offers a decent weight to it and it’s not too shabby in the corners, but if you’re looking for a cheap car that is fun to drive, you may want to look elsewhere. 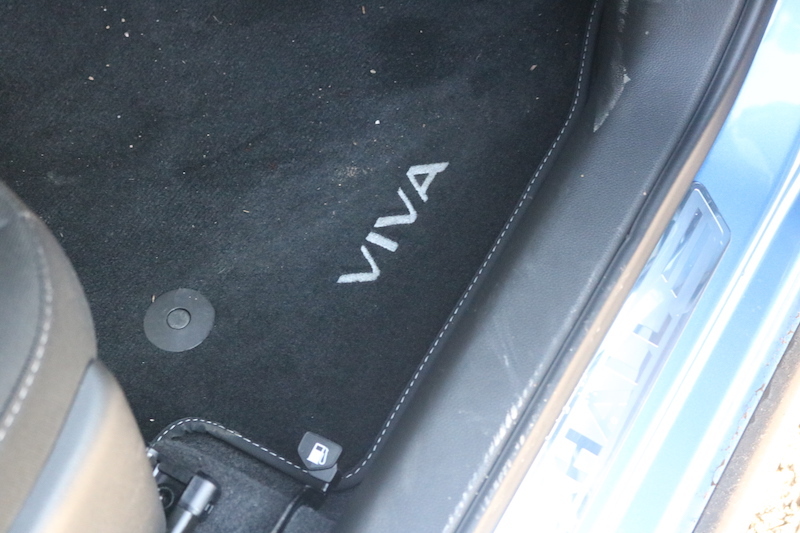 To be fair though, the Viva Rocks’ priority is not fun, it’s value-for-money, utilitarian driving. Speaking of utilitarian, is it practical? It’s a small car, so don’t expect acres of space, especially in the back. This area is best avoided if you are a tall adult as my legroom was practically non-existent and the headroom wasn’t exactly stellar either. Children and smaller adults should fare much better though. 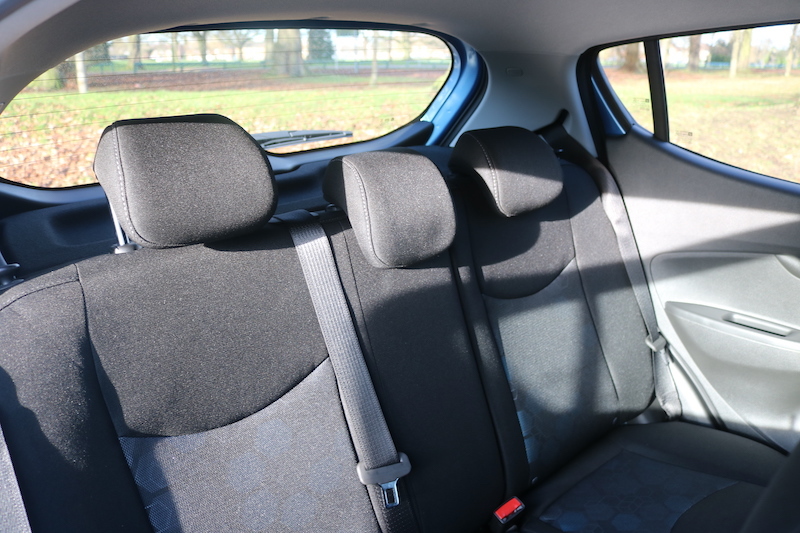 The boot isn’t massive either, offering a a total of 206 litre with the rear seats up, and a more reasonable 1,013 with them down, but the seats don’t fold flat. 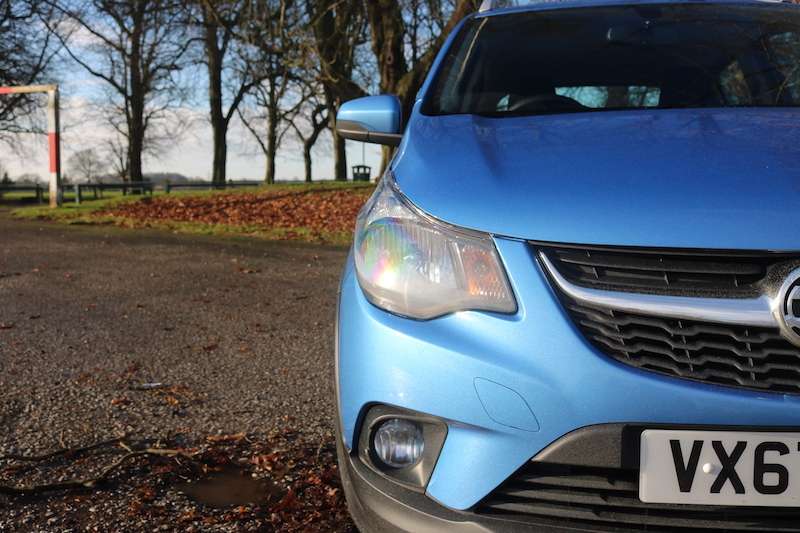 This puts it behind rivals such as the Suzuki Ignis, and the FIAT Panda City Cross, plus it’s worth mentioning that you could get a Dacia Sandero Stepway which offers more space and is a cheaper option, even if you go for the range topping model. 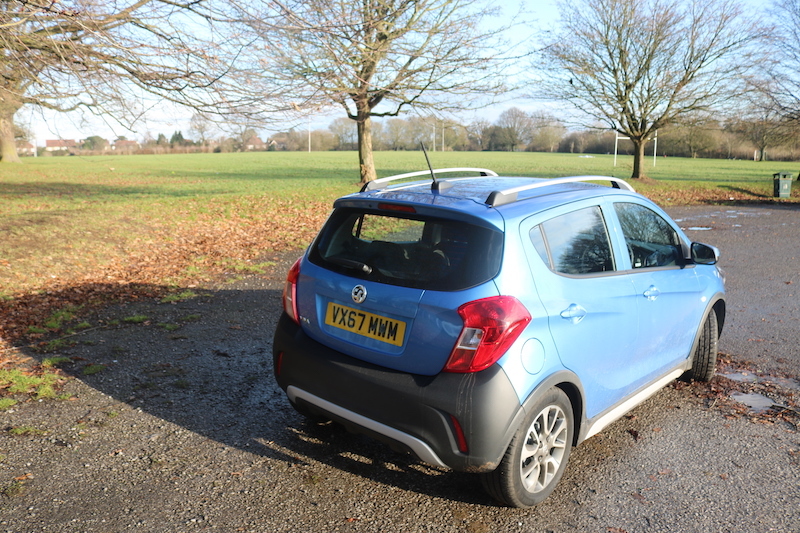 In a world where people crave SUV styling, the Viva Rocks does make sense, but I fear that the price is just a bit too high to offer as much value for money as it could do, especially when you could have the cheaper – albeit larger – Sandero Stepway. Spec the car with more goodies and you end up at a price that could get you the range-topping Ignis, which in my opinion is more fun to drive and is more appealing. 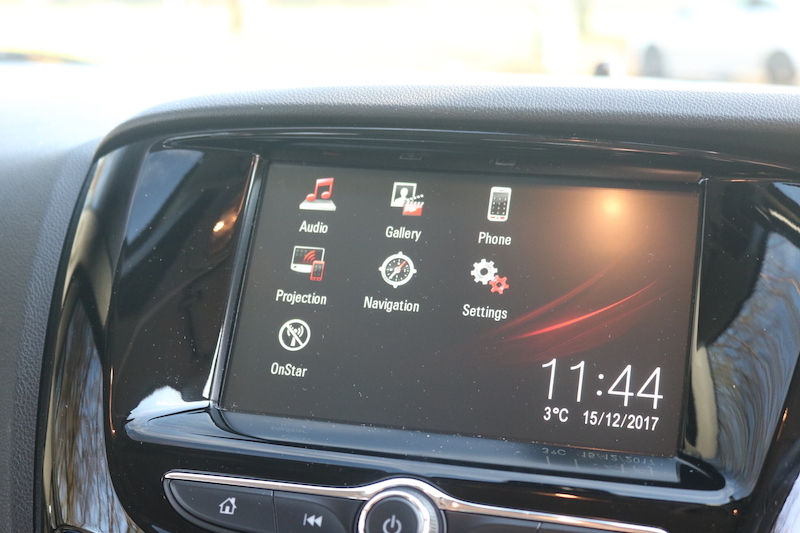 I’m sure the Viva Rocks will appeal to some, but if your heart is set on a Viva, I recommend that you have a look at the standard model, as you can get the better-equipped SE Nav model and save yourself a few hundred quid in the process. Therefore, it’s difficult to recommend the Rocks model as it’s not as savvy as the standard car, but it doesn’t offer enough to entice buyers away from its rivals.